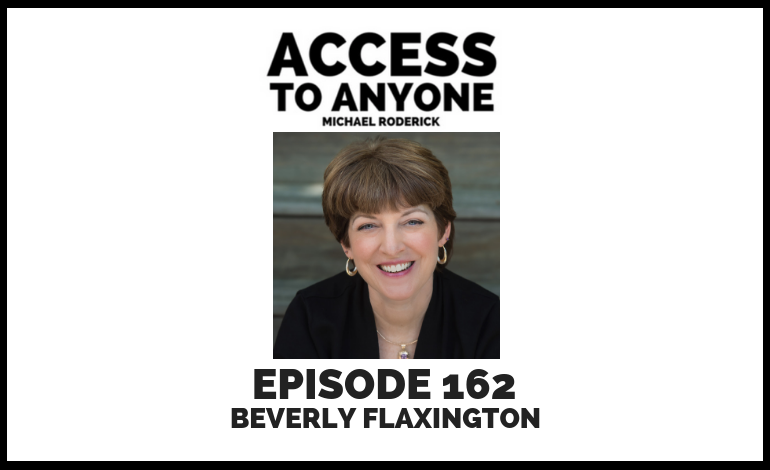 In this episode, I sit down with Beverly Flaxington, The Human Behavior Coach who has authored 8 different books, writes for Psychology Today, and has run her consulting firm for 20 years. Listen in as Bev tells us all about her personal story, the top lessons she’s learned in relationship building, and what everyone needs to know about human behavior. Beverly D. Flaxington, MBA, The Human Behavior Coach® is a Gold-award winning author who has written 8 books, including three bestsellers. She brings her vast experience as a management consultant, Certified Hypnotherapist, executive and career coach, Certified Behavioral Analyst, Certified Values Analyst, and holder of two patents for groundbreaking programs she created. She has run her own consulting firm for 20 years. Bev is a regular blogger for PsychologyToday.com and writes a weekly column called “Ask Bev” for Advisor Perspectives Magazine answering questions about human behavior and relationships in the workplace. Bev is a Lecturer at Suffolk University teaching Leadership & Social Responsibility. She has taught Entrepreneurship 101, Small Business Management, Dealing with Difficult People and Organizational Behavior.